Get your applications ready! The United States Department of Agriculture Rural Utilities Service (USDA RUS) is accepting applications for another round of loans for the Rural Broadband Access Loan and Loan Guarantee Program. This program provides loans of up to $20 million for rural connectivity. The window to apply opened September 1st, and the deadline is September 30, 2017. The USDA RUS has at least $60 million available this funding cycle for this program. All loans will be between $100,000 and $20 million. The program will only consider funding projects that offer speeds of at least 25 Megabits per second (Mbps) download and 3 Mbps upload. For this program, the USDA RUS focuses on completely rural communities where at least 15 percent of households do not have high-speed Internet access. To be eligible, these rural areas cannot have more than two incumbent providers or have previously received USDA RUS funding. Although the program is specific to rural communities, most organizations are eligible to apply, including tribal governments, local governments, cooperatives, and corporations. No partnerships and no individuals may apply for funding, however, as the loans must go only to organizations. This is only one of the Broadband programs that the USDA RUS manages. The agency also handles the Community Connect Grants and the Distance Learning & Telemedicine Program. The report “Broadband Loan and Grant Programs in USDA’s Rural Utilities Service” from the Congressional Research Services describes these programs in more detail. The USDA RUS officially began accepting submissions September 1st and organizations have until September 30, 2017, to apply. If you are working in an area with poor Internet service, it’s important to note that this program only accepts applications through an online system. Through the online system, RUS staff can review applications and answer questions as they are developed. Once an application is complete and submitted, the staff cannot provide feedback and the organizations cannot edit their applications. As of now, 41% of tribal lands do not have high-speed Internet access according to the FCC Broadband Report of 2016 released on January 29, 2016. That same day, the Government Accountability Office (GAO) published a study of high-speed Internet access on tribal lands. The GAO report (GAO-16-222) reviewed previous federal programs that aimed to improve Internet access and interviewed several tribal entities. The result reveals the perspective of communities impacted by the data and cooperation - or lack of both - among the different federal entities. Long before this report, the FCC had recognized the shortcomings of these programs and began to improve data collection and inter-governmental cooperation. The GAO focused mainly on FCC and USDA programs from 2010 – 2014, especially those that specifically addressed tribal connectivity. GAO researchers collected the perspectives of several tribal entities, which provided useful qualitative data to understand the impact of Internet access on these communities. The report also touched on the quality of quantitative data. In 2006, there was little meaningful data. Although the situation has improved, reliable data is still lacking. Tribal lands are often rural and sparsely populated, such that census blocks (the basis of much data collection) cover large areas. This method can grossly overstate the availability of Internet access in such an environment. Montana may have high speed limits on roads, but this Montana coop’s network will let you surf the web even faster. Triangle Communications received an almost $30 million loan from the USDA to provide rural Central Montana with high-speed Internet access. Triangle Communications will finish upgrading its aging copper network - a technology mostly used for telephone - to a fiber network that can support both telephone and high-speed Internet. The loan comes from the USDA’s initiative, announced in July, promising $85 million to improve connectivity in rural areas. The Triangle Communications coop is upgrading its entire system spanning 16 counties (that’s more than 23,000 square miles from the Canadian to the Wyoming border!). Since 1953, the coop has been at the forefront of changing technologies. It’s based in Havre but expanded in 1994 with the purchase of 13 exchanges from US West (now known as CenturyLink). The coop began upgrading to fiber in 2009 in order to provide its members with state-of-the-art service and technology. For more information about the network and the award, check out local news coverage of the almost $30 million loan and Triangle Communications’ video. Kevin Taglang, recently published an excellent explanatory post for the Benton Foundation entitled What Section 706 Means for Net Neutrality, Municipal Networks, and Universal Broadband. He provides just the right amount of detail to get one up top speed on the upcoming decision and why it promises to be so influential. Additionally, he summarizes many federal programs relating to Internet access. We already know that February 26th will be an historic day in telecommunications. On that day, the FCC's decision on new network neutrality rules and municipal broadband networks has the potential to literally change millions of lives. The decision will impact education, economic development, jobs, healthcare, communications, utilities - you name it. Taglang fittingly describes the series of findings from the FCC as a three act play. Read the text of the play, anticipate the conflict, see how the characters clash, and you will be the dramaturge. 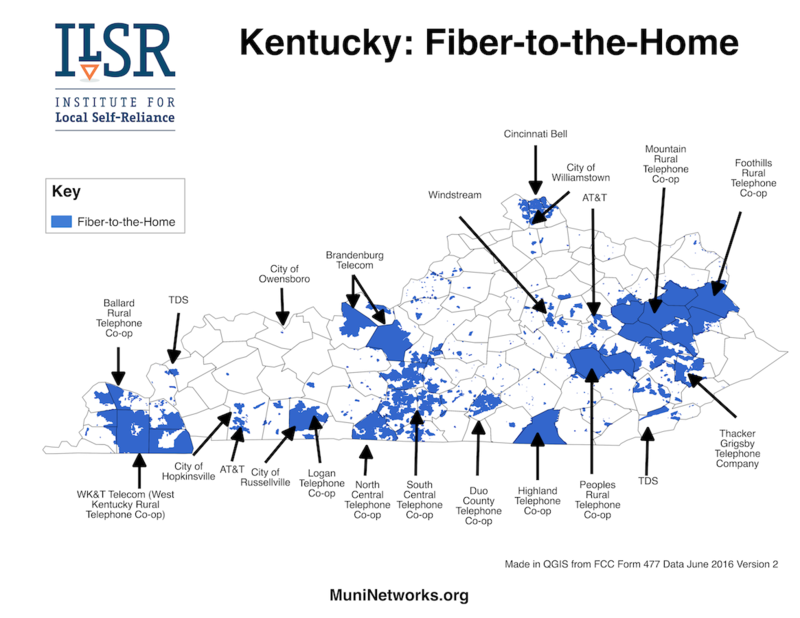 In addition to other factors, the FCC looked at the way we defined broadband (4 Mbps/1 Mbps), what capacity is needed to align with the way households use broadband (as in multiple devices simultaneously), and how ISPs market their services (25 Mbps as a minimum downstream acceptable). Accessibility rates showed divergent results based on urban and rural geography. The agency reassessed what is needed in schools for students and staff. The result was a decision to redefine broadband as 25 Mbps/3 Mbps and, once the agency determined that, the landscape changed dramatically. In January, the FCC adopted the Broadband Progress Report for 2015 [PDF], which asked what is advanced telecommunications capability now and are all Americans able to access that capacity?